At the peak of the disco rage, no act did more with less than Miami-based KC and the Sunshine Band. Creating a series of sound-alike songs highlighting tight instrumentation and lead singer Harry Casey's largely processed vocals, they amassed an amazing collection of top ten hits and a level of success that keeps them touring successfully to this day. The group was formed by Richard Finch and Casey ("KC"), a record store employee and part-timer at TK Records in Miami. Following demo work, Casey and Finch were encouraged to create their own group. The initial members were just Casey and Finch (his main partner in songwriting), but Finch soon added guitarist Jerome Smith, and drummer Robert Johnson, both TK studio musicians. The first few songs, "Blow Your Whistle" (September 1973) and "Sound Your Funky Horn" (February 1974), were released as singles, and had limited impact. However, a side project writing and producing music for George McCrae took Finch and Casey's "Rock Your Baby" and made it a hit in mid-1974, selling 11 million copies worldwide. The band's "Queen of Clubs" was a hit in England, and they went on tour to England in 1975 off that success. With the release of the self-titled triple platinum second album KC and the Sunshine Band in 1975 came the group's first major US hit with "Get Down Tonight". It topped the R&B chart in April and the Billboard chart in August. "That's the Way (I Like It)" also became a number one hit in November 1975 and the group did well at the 1976 Grammy Awards. The 1976 album Part 3 yielded three top 5 singles: "I'm Your Boogie Man", "(Shake, Shake, Shake) Shake Your Booty" and "Keep It Comin' Love". Their success lasted until the fifth album and 1979-80; their last chart topping hit was "Please Don't Go" in December 1979, hitting #1 for one week in January 1980, and becoming the first #1 hit of the 1980s. With the declining popularity of disco, the group explored other styles and changed labels, joining Epic Records in 1980 after TK Records went bankrupt. In 1981, the partnership between Rick Finch and Harry Wayne Casey came to an acrimonious end. Casey began recording as a solo artist, and in 1982 scored a hit track called "Give It Up," an infectious dance tune that was arguably one of his finest compositions. It was his last hit, as changes in the musical landscape and substance abuse problems led to Casey's retirement from the music business in the mid-80s. A revival in the interest of disco music in 1991 brought a now health-conscious Casey out of retirement. He reformed the group with entirely new members and began touring once again. 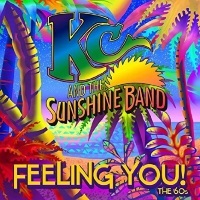 Many of the group's previous hits found new life in movies and commercials, bringing a new appreciation for KC's catalog. 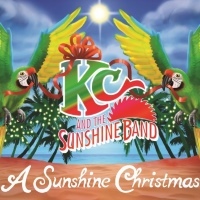 It buttressed a series of summer tours by KC, including a very successful Boogie Blast series of concerts around the world in 2006 with Tavares, Gloria Gaynor and Kathy Sledge.